Ira Epstein Division of Linn & Associates, LLC. – Ira Epstein Division of Linn & Associates, LLC. 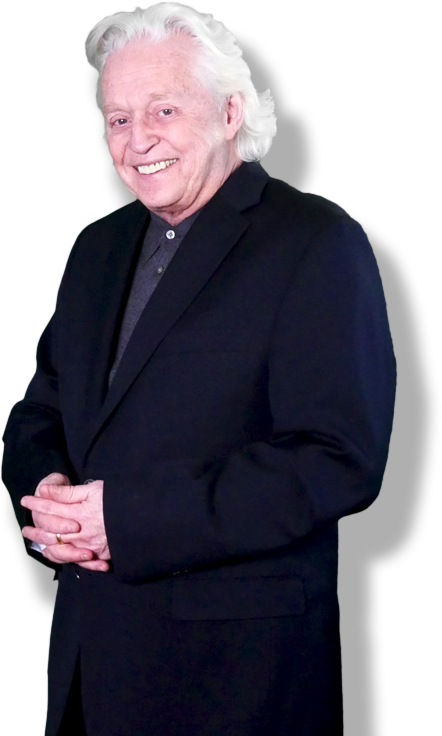 Two weeks free access to all of Ira Epstein’s Market Research - a valuable resource for making money in today’s market. Twice daily updates with specific buy, sell, stops and price ojectives. Special intraday updates sent out with specific trade recommendations. Updates include Market Commentary. Updates are sent via email. You can also receive text messages when updates and webinars are posted. Access to Ira’s webinars where he reviews 40 charts. You will also receive Ira’s Gold Reports which are written to help you understand the factors that will influence the gold market and your trades. Ira developed Swinglines to help define trends and risks in a market until trend is broken. 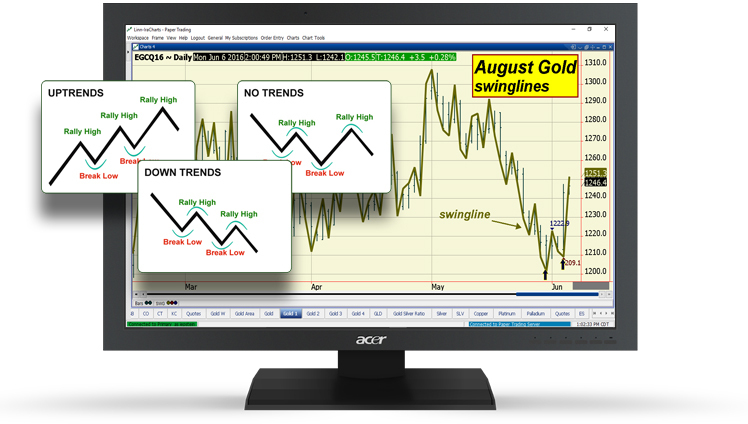 With the Swinglines instructional Packet you receive two videos on how to use Swinglines, a free trial to our charting software to plot and see how they work, and a detailed explanation of the theory of Swinglines. 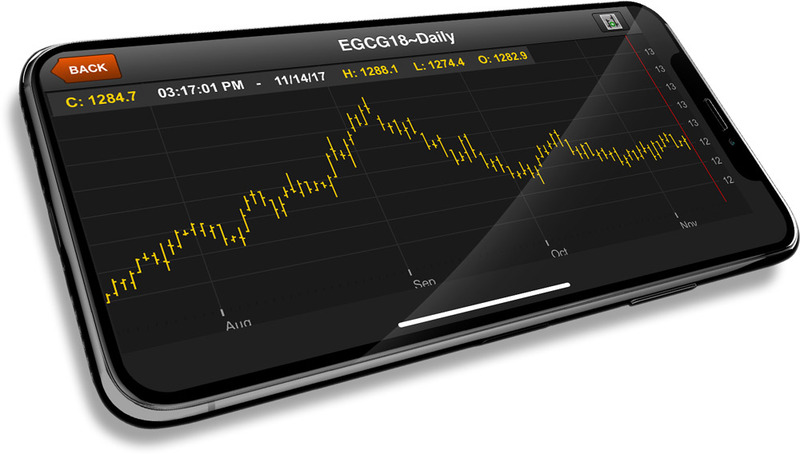 Included is a free trial to our charting software if you haven't tried it recently. Linn-IraCharts in a Java-based application suitable for Windows PCs. Alternatively you can try QT Market Center our Web-based software that works in any web browser. Free access to PriceCounts, a trading tool that helps in predicting where a market might move after a trend sets in. PriceCounts are a tool to help you gauge the potential distance of a market move. The idea behind the tool is to provide the user with an idea of how far an initial leg of a price move might carry subsequent legs and yes, there is also a rule provided that nullifies PriceCounts. PriceCounts can also help in trying to figure out where where market consolidation levels might take place. You will receive a free 10-page PDF that describes in detail how PriceCounts work, what activates them along with what negates them. You will receive access to QT Market Center where you can view new PriceCounts daily. 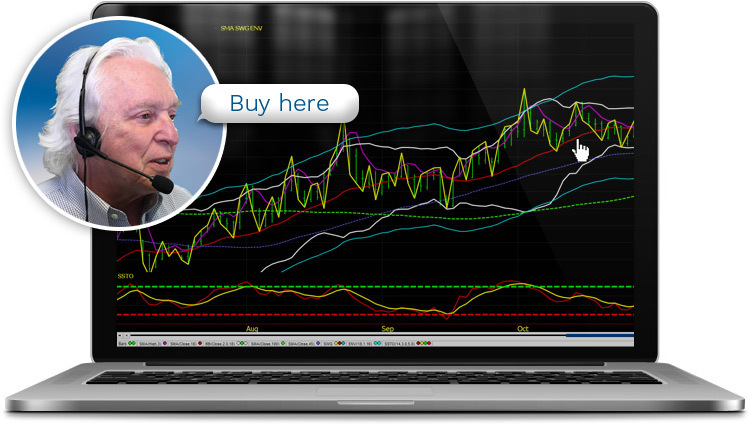 We will provide you with free access to our charting software if you haven't used it before. A History of Futures, Market Overview, 12 Popular Chart Patterns, Money Management Explanation, Market Analysis, Intro to Options, 25-proven Option Strategies, Exchange Brochures, and an Introduction to Technical Analysis and more. Finding your way as a new investor can be intimidating. 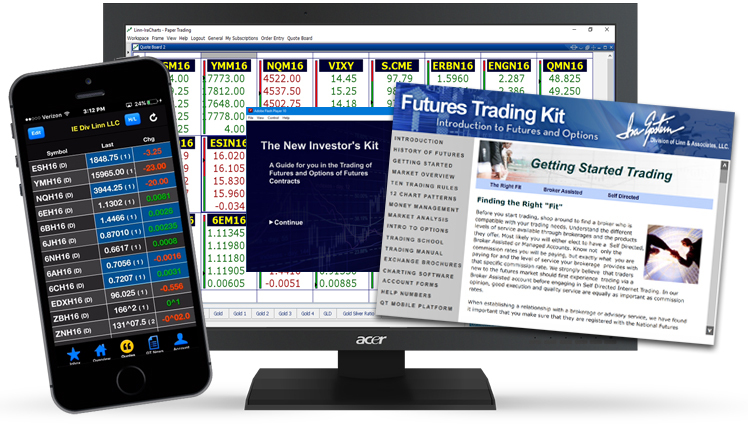 Let Ira's Future's Trading Kit walk you through the basics every trader should know. Consider it a guided introduction to trading futures and options. 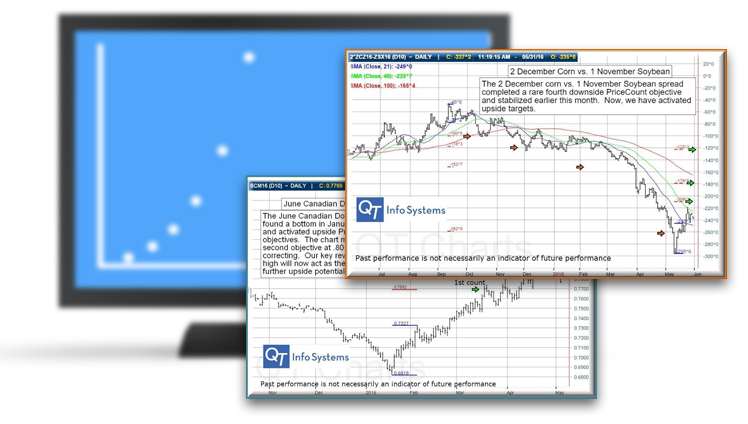 Free access to QT Mobile where you can view quotes & charts, place orders and so much more. View quotes via preset categories or customize your own list of futures. Explore detailed quote information including last price, high, low, net change, time of last trade, and volume of last trade. Easily place orders right from your smartphone. You can even view your order history. Read news stories specific to the commodity markets. Listen to oral commentary from a host of expert analysts. Read reactions to the release of government and private market reports. Watch Ira's 4-Daily Videos in QT Market Center. View weather specifically formatted for the commodity markets. Over the past 35-years Ira Epstein has developed a reputation for providing clients with easy to use technology and teaching good old fashioned trading know-how. No matter how technology changes the methods of entering orders, there's no replacement for having "been there and done that". It's a blend of services that brings real people and information together. Be it education, market information or trading platforms, Ira provides solutions. Our brokers are here to help and guide you with your trades. When you call us - you speak to a person, not an automated phone system. Our staff operates from the Chicago Board of Trade Building to offer real assistance from the center of the commodities industry, when you need it. Disclaimer : There is a substantial risk of loss in trading commodity futures, options and foreign exchange products. Past performance is not indicative of future results. All Content © 2019 Ira Epstein Division of Linn & Associates, LLC.